Editing video used to be a difficult and painstaking process. But with the digital camcorders now available and video capture cards and video editing software for your computer you can make almost any computer into a video editing machine that a child can use. Digital video editing (sometimes referred to as desktop video editing or computer video editing) is the process of taking raw footage shot with a video camera and making into a finished video. With today’s easy to use software, you can learn in no time to make videos that have titles, credits, sound and special effects like you see in theaters. With the right program editing video is a snap. Two programs that I particularly like are Pinnacle Studio and Adobe Premiere. Pinnacle Studio is so easy to use that you will be amazed at how quickly you are making your own videos. But as you come to understand the basics of editing video, Pinnacle Studio has a number of powerful tools that allow you to add a wide variety of special effects to do the more advanced projects you will want to be doing. Adobe Premiere is a very advanced program. 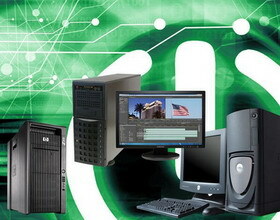 It is capable of doing some of the most advanced special effects that you can do on a desktop computer. I also like Adobe Premier because it can output your video in any format you need. As you start to work with video, you will discover that one of the most frustrating aspects is that you will need different file types for every different output. You will need one format for video you want to put on a website, another format to save it to a cd, yet another format for dvd’s and so on. Adobe Premiere allows you to take a video clip and render it (render is the video equivalent of create) in a new format. So, once you have created your video, you can just import it into Adobe Premiere and change its format as many times as you need to for different applications. Of course, Adobe Premiere is very expensive. Therefore, I recommend that you begin editing video by using Pinnacle Studio. It is relatively inexpensive compared to Adobe Premiere and it will allow you to get your feet wet. If you find that Pinnacle Studio is limiting what you can do, then go out and get Adobe Premiere.